IAMDYNAMITE came to my attention being the opening band for the current Blue October's american tour. They are an indie-rock duo (Chris Martin aka C-Mart and Chris Phillips aka C²) that is gonna release their debut album "SUPERMEGAFANTASTIC" on September 13th, via Brando Records. They're managed by Blue October's bass player Matt Noveskey, who also produced the album, with Jay Ruston (Bowling For Soup, Metallica, Jars Of Clay, Meat Loaf) mixing it. 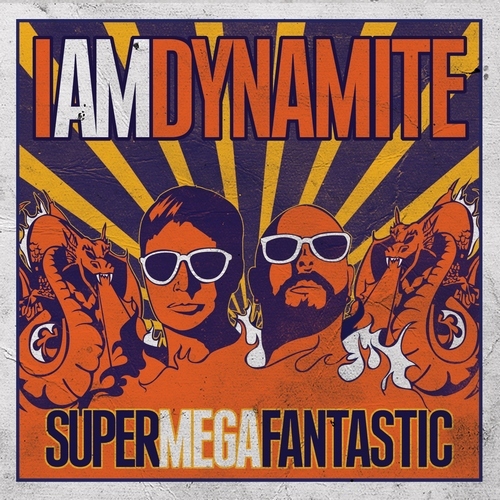 IAMDYNAMITE style is quite unique: just guitars and drums with an indie raw approach, groovy hooks and somewhat of a western movie soundtrack feel. Confused? You can judge by yourself, as the whole album is available for streaming here.